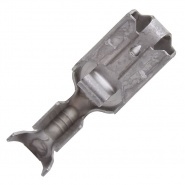 Superseal 1.5mm male blade housing. Supplied with seals and terminals. 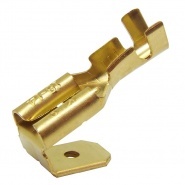 Suitable for cable size 0.65mm² and 1.00mm², 1.50mm² maximum (20 to 16 AWG). Single folded phosphor bronze, tin plated flat pin terminals. 0-011-63 female pin mate connector. 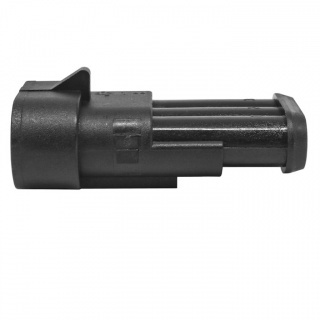 0-011-50 pack of 10 Superseal male pins. 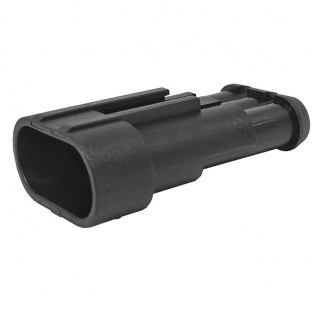 0-703-51 ratchet crimping tool for Econoseal and Superseal terminals. 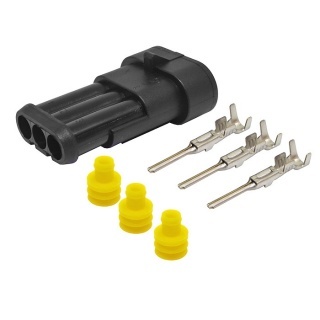 Triple tin plated phosphor bronze terminal, 1.5mm auto electric multiple Superseal male pin connectors, with glass filled (for strength) polyamide 6.6 housings and disconnect clip action. Used for automotive lighting systems and circuits requiring low amperage feed and connectivity. 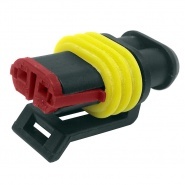 The Superseal auto electrical connectors fast became an industry standard due to their watertight properties conforming to IEC 529 I.P. 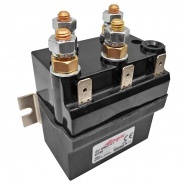 6.7 standards, which reduces terminal degradation and in turn reduces intermittent faults. 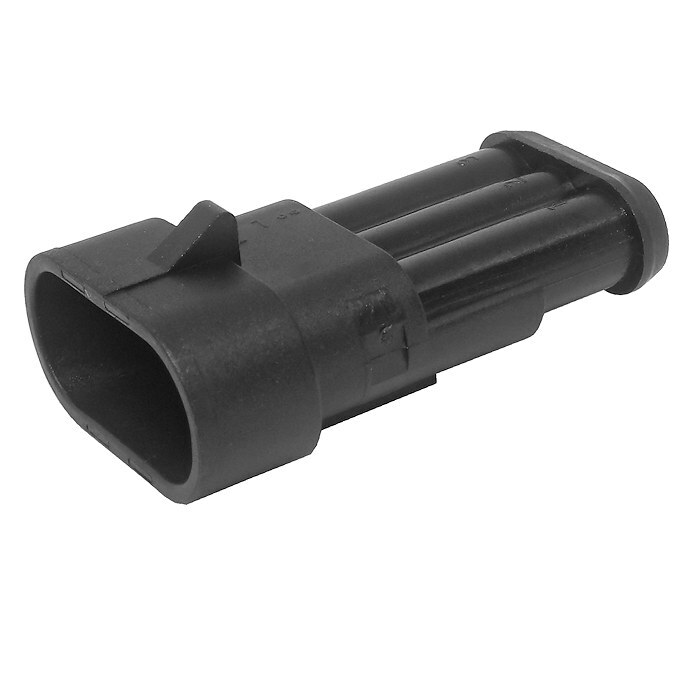 Superseal 1.5mm female terminal housing. Three way cables connector, complete with seals and terminals. Superseal 1.5mm female terminal housing. 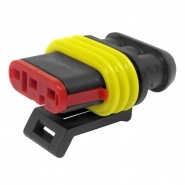 Two way cables connector supplied with seals and terminals. 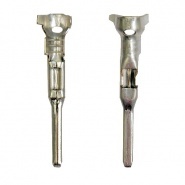 Separate 1.5mm Superseal male terminal pins, pack of 10, for cable 0.65mm to 1.50mm.